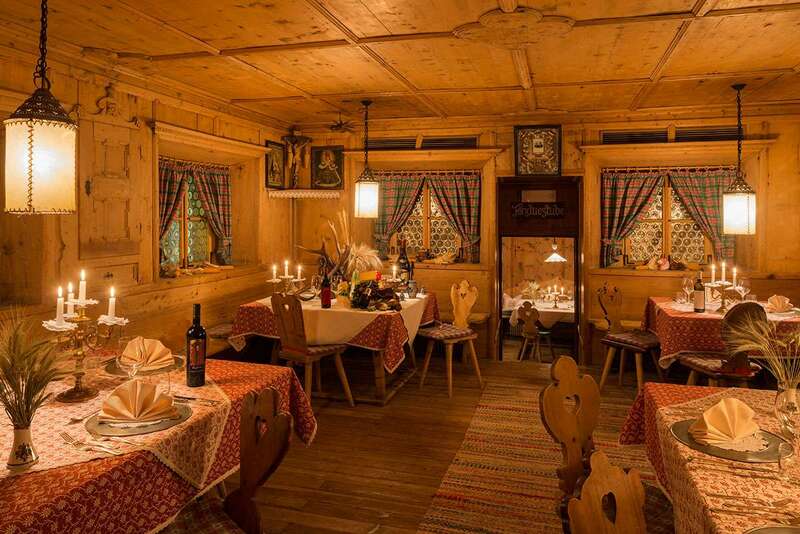 The panorama restaurant and dining rooms at the Bad Moos – Dolomites Spa Resort are delightful places to enjoy good food and relaxed conversation. 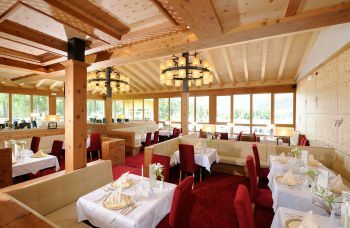 Hotel guests who book the luxury inclusive package eat in the stylish atmosphere of the panorama restaurant, which is designed in a modern style with larch wood and Swiss pine. Here, the eye is drawn outside to the rugged peaks of the Dreischusterspitze and the larch forest of the Fischlein Valley opposite. 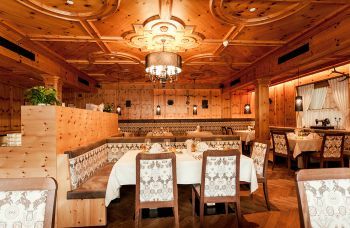 For a special treat, guests can enjoy a candlelit dinner or fondue in the romantic historic dining rooms, the wine tavern or the Gothic room. 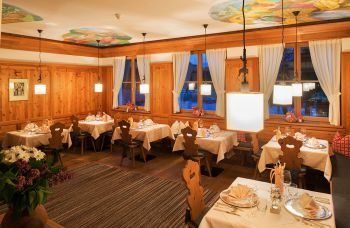 The hotel’s founder, Dr Erwin Lanzinger, was a passionate collector and a preserver of South Tyrolean cultural heritage. 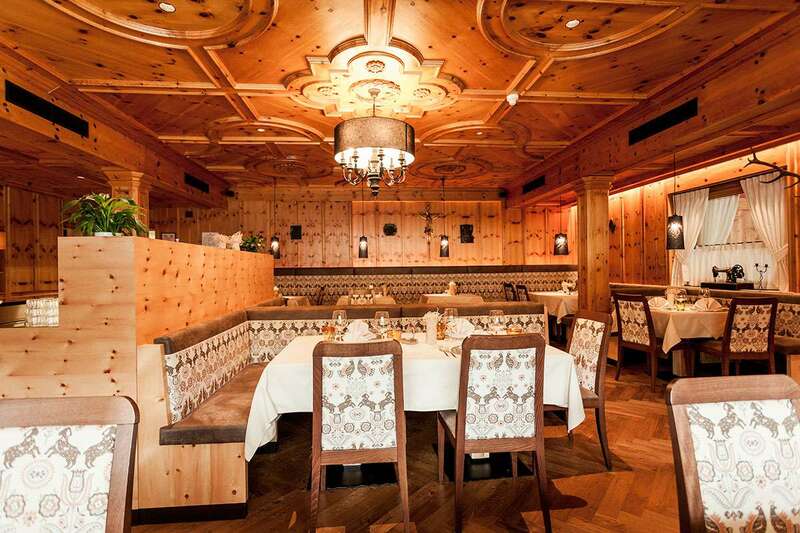 He integrated the two exquisite 13th and 17th century dining rooms into the hotel. Steeped in history, they are perfect for parties and banquets. 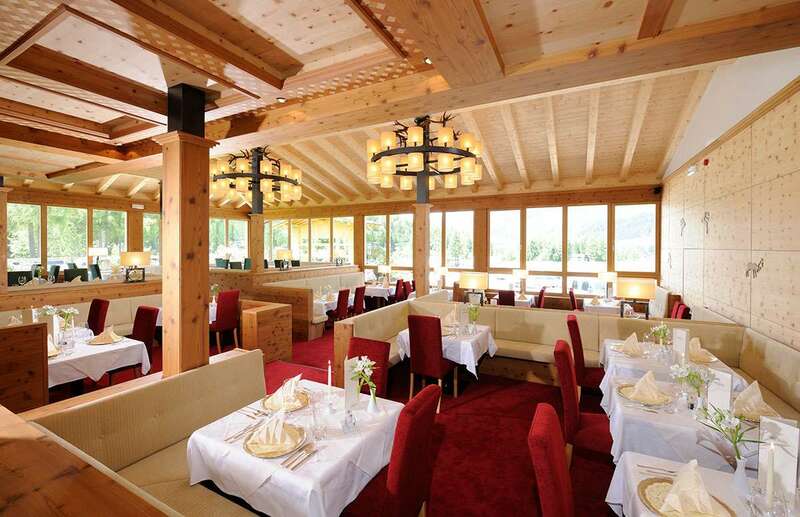 In the Katharina pine dining room and the Karl Gasser dining room, we serve traditional afternoon snacks to hotel guests who book the luxury inclusive package. South Tyrolean and Italian delicacies, homemade cakes and tasty appetisers can be ordered from the à la carte menu in the bar and on the adjoining terrace. Natural materials, like pine and larch wood, slate and loden fabric, create a wonderful harmonious look in the conservatory. 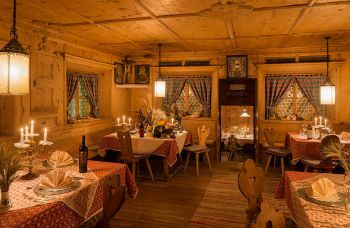 There is always a relaxed holiday atmosphere here – whether you choose to read a book by the cosy open fire in the afternoon or settle down to enjoy a digestif after your meal.